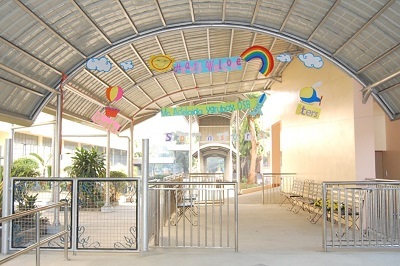 The new school year, following the K-12 curriculum, brought blessings of persons. With an increase of 73 students this year, making the total number of students at St. Scholastica Academy 3,200 . An increase in student population naturally called for additional teachers. Presently there are 86 in the Grade School and 53 in the High School. Office staff and other services personnel, including guards are 91. To protect people on campus from sun and rain ,new, strong and well-constructed pergolas stretching from one end to another, connecting all buildings, old and new were installed. Now the Pre-school kids do not have to walk a long way to their classrooms. 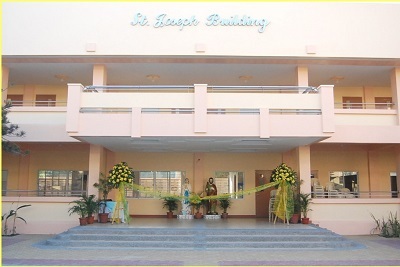 They tread just a few steps and they are in St. Joseph building, their nice, new territory. New is always good. However, the grade school and high school have teachers and non-teaching staff who are tried and true who have not retired yet. Some of them have gone up the administrative ladder as middle-level administrators. Headed by the School Directress, Sr. Ma. 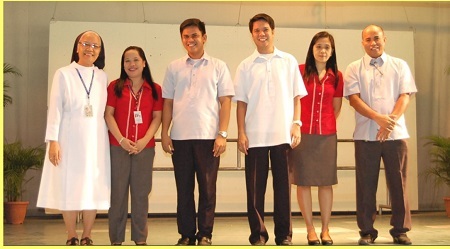 Ezechiel Fernandez, now also High School Principal, Ms. Juliet tayag, her assistant Mr. Lloyd Estrada, Academic coordinator Mr. Jonathan Manalo, Coordinator of student activities Mrs. Agnes maniago, Coordinator of Student formation and welfare and Mr. Leonardo Barotac, HS Campus Minster. Those in grade school retained their administrative posts.